An editor-turned-director, Los Angeles-born Christian Nyby has led a fascinating career, albeit one better represented in the editing room than from the director's chair. 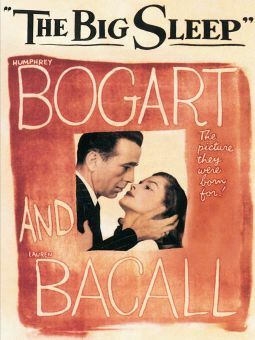 He began work in the movie business as an editor at Warner Bros. during World War II (with Destination Tokyo, Hollywood Canteen, and To Have and Have Not), and, with the latter film, became part of Howard Hawks' crew, and worked on The Big Sleep (1944), undoubtedly taking part in the recutting of that movie after its initial showings to servicemen were received with complaints that its didn't contain enough scenes of stars Humphrey Bogart and Lauren Bacall together. He also worked on other filmmakers' pictures, including Raoul Walsh's complex western/noir classic Pursued (1946). Nyby was sometimes put into an awkward position -- as editors can be -- by virtue of the complications surrounding Hawks' movies, most notably on Red River (1948) -- director/producer Hawks, having finished the sprawling western film late, was obligated to leave for Europe for his next picture, and had to shorten the film, which had tested poorly for length in previews. 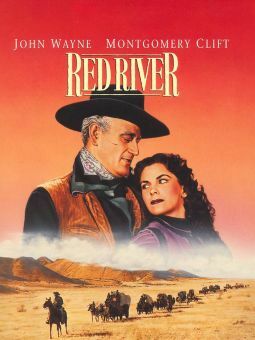 Then Howard Hughes threatened to sue for alleged plagiarism, claiming that some plot elements of Red River's ending had been lifted from Hughes's 1943 production of The Outlaw (which Hawks had worked on briefly). Hawks was forced to leave Nyby with Hughes to settle their differences regarding Red River, and the resulting movie -- cut to Hughes' demands to meet an impending release date -- was a far lesser movie than the version originally previewed. Still, the movie got out, and became regarded as a classic -- fortunately, the version originally assembled by Hawks and Nyby survived, and was released, initially by mistake and later by design, to an appreciative public during the '60s, and restored to 35mm in the '80s. 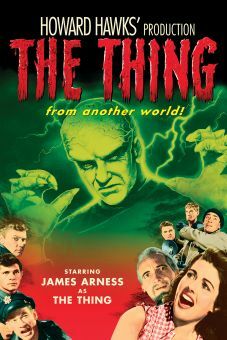 Nyby's involvement with Hawks' production of The Thing (1951) has always been controversial as well -- he is credited as director, Hawks as producer, but the style of the film is so thoroughly Hawks' own, that most people have rightly assumed that the director/producer was either sitting in the director's chair or looking directly over his protege's shoulder, and Hawks himself admitted to giving Nyby director's credit on the picture in order to get his protege his Directors Guild membership. Certainly none of Nyby's subsequent movies, including Hell on Devil's Island (1957), Young Fury, Operation CIA (1965), or First to Fight (1967), showed anything resembling the stylistic flair or tautness of The Thing.